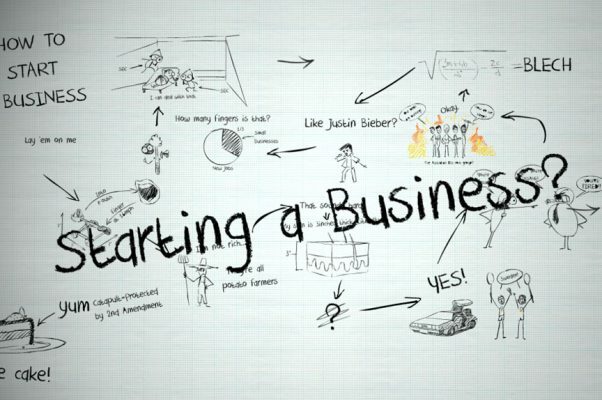 Starting a business can seem like a great thing to do. Being your own boss, getting all the business profits and working the hours you want to work can sound really fantastic. However, it is important to be prepared if you do decide to start a business. Below are 20 things that you should know before you even think about starting a business. It may seem obvious that you will need to work hard at a new business, but many people do not realise how much hard work it takes. You will need to be prepared to put every moment that you have into the business to start with. There will be a lot to do and it is likely to be just you to do it. You will not only have to sort out the good or service that you are selling but you will need to do all the accounts, marketing, social media, website, sales and everything else. This can be a very steep learning curve and you may find that you spend as long learning new things as you are actually getting on with working. It is really important to understand the market that you are aiming towards. You need to be able to target them with any advertising that you do and make sure that you make the products available to them in a place that they will want to buy from. To do this you can look at what your competitors are doing, but you need to bear in mind that they may not be doing things right and anything they are doing can be improved upon by you. It is worth starting off by listing all of the possible costs to your business. Think about everything you think that will cost you money. You may have premises to rent, business council tax to pay, staff wages, stock, website, ecommerce, banking, advertising etc. Try to think beyond the basics and consider every little thing as well such as insurance, signage, postage, leaflets, uniforms and anything else. Obviously costs will be very specific depending on what sort of business you are starting but you need to have the figures there. You need to know this and then consider where that money is going to come from. It is really important to have a business plan. Writing a list of the costs is one step but you also need to calculate what income you think that you will have coming in as well and therefore what the profits or losses might be over the first few years. This will allow you to understand what you are taking on and what your financial future will look like. It is also the first document a lender will want to see if you decide to finance the business with a loan and so it is a useful thing to have. It is so important to keep spending a slow as you can. Every pound you spend is another pound of profit that you will not be getting. Think carefully about each purchase that you make and whether it is a worthwhile one. Obviously you need to buy necessary things and make investments so that you can get a return, but you need to make sure that you are not overspending on things or that you are not buying unnecessary things. Some businesses can be set up for free. If you are selling a service or digital product then you have no stock and no need for premises. You can set up a free website or sell on an already established website and get going for no money at all. You can get a social media page and do a lot of work on that, you could get yourself a big web presence without having to pay anything. It may take more work and time but if you do not have the funds to gamble, then it could be a good way of trying things out without any money lost. Social media is so important these days. Although many people use it for personal reasons, most businesses also have a social media page as well and attract customers that way. It is important to know how to use these to your advantage. There are plenty of articles, videos and other sources of information online that you can look at for free, that will give you lots of information about this. You will also be able to buy material to help you to learn about this, but it is always wise to find out as much as you can for free first. There is so much free information out there that you may as well take advantage of it. It is really wise to have an understanding of business law before you start out in business. There will be many laws that do not apply to your specific business but a lot will and you need to know exactly what you need to be aware of. Things like insurances, tax, employee rights, health and safety and customer rights are a few of the obvious things that you need to think about. Depending on the nature of your business there may be other things that you need to be aware of as well. You will find all of this information on the government website. You will need to register with the tax office when you start your business. Depending on the nature of your business, they will make sure that you get sent the correct paperwork so that you can pay the right amount of tax and national insurance. It is wise to contact them immediately so that you do not get into trouble for not paying tax in the future which could lead to expensive fines. It is easy to think that as soon as you start your business the money will start rolling in. However, you need to expect that you will not be able to pay yourself for some time. It will take a while for money to start coming in and the amount will slowly build up. You will be likely to find that you will need to use that money to reinvest in the business to help it to grow. While you are doing that, it is unlikely that there will be anything left to pay you. Therefore you need to make sure that you have enough money put by elsewhere to cover your personal expenses. When you are employing people it is really important that you choose them carefully. You do not only want to take on people who are qualified for the job but also those that have the right attitude. This will come across to your customers and so you want it to be right. As a small business, the attitude of one member of staff can reflect on the business as a whole and so it is so important to make sure that is right. It is even more important than matching their skills or qualifications. It is easy to be enthusiastic and motivated when you first start your business but once you have put in hours of work and have not seen much money from it you can start to feel less keen. You can start to wonder whether it is all worth it and whether you should just give up. You need to bear in mind that you have to give it a proper go and that it takes a long time to get a business established. You need to remember what your reasons were for starting the business in the first place and reflect on that every time you feel like giving up. It is important not to put all of your money into the business at the beginning. You need to have backup funds that you can fall back on if you do not get the returns that you predict. You need some money to pay personal costs but also to pay business costs as well. If you do not have enough money behind you then you could end up having to give up with the business before you have time to get properly started. It is really important to remember that customer service is really important. You need to make sure that you treat the customers as well as possible and they will remember you, give you return business and you may even be lucky enough that they recommend you to others as well. Doing that little bit extra for your customers can really make a big difference and is worth it. It is important to keep listening to your customers. If you have social media presence there will be a place where they can leave comments. It is wise to listen to comments and suggestions and take things on board. Some people will be unreasonable and maybe even rude but if you treat them well and fairly you are likely to mainly get useful and positive responses. If customers think that you are listening then they are more likely to respect you as a result and buy more from you. It is really important to keep an eye on your market. The world does not stand still and as things change you need to change with it. Some businesses just keep on doing the same thing all of the time but this is not usually a sensible idea. You need to be aware of what is going on in your market and offer new things or adapt what you are doing to fit in or else you will lose your customers to those that are changing. It can be difficult to change what you are doing if it does not work. However, it is wise to do just this, learn from it and move on. If you keep trying to make something a success then you could just end up losing more and more money. It is important to try to see clearly when something is not working and you need to give up on it and try something else. Do not look at it as failure but as learning and just move on to something else. It is so important to be flexible. Not only listening to customers and responding to it and stepping back from things that do not work but being flexible in every way that you can. You are just starting out so you need to remember that you are always learning. You need to change and move so that you can adapt your products to fit into the market. Being too inflexible will be expensive and could mean that you fail in your business. It is really important to keep a close eye on your competition. You may think that you are producing something better than them and you could be right. However, they may respond to that and make changes to draw custom away from you. Keep checking what they are doing so that you can keep in step with anything they are doing. They may start doing something very different which you may be able to learn from. It is important to always try to be better than you are. Do not be complacent even if you are doing well and getting lots of positive feedback. There are always likely to be things that you can do to improve and keeping them in mind will help you to keep being better. Your customers will appreciate that you are making this effort and it will be obvious in the service that you are providing to them that you care about being the best that you can be. I am a married mum of 2 in a house full of Internet-addicts. I spend my spare time reading and writing content for websites such as this one. My interests in the financial sector are limited to making and saving as much money as possible and I also enjoy living a lifestyle which is as stress free as possible! Although with 2 kids that is somewhat difficult! Write for readies® and get paid!